I am more likely not to have a choice about where and when my first sexual experience happens because I am a girl. Because I am a girl, I am loved, valued and have been made to fulfil my God-given potential. Girls are made in the image of God and He created both girls and boys to flourish and live with freedom and hope. 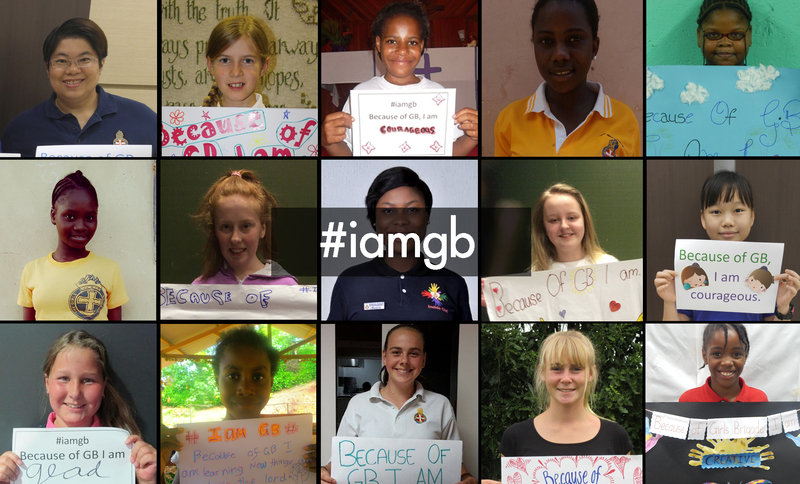 Share the #iamgb film – Because of being part of the Girls’ Brigade family, girls from across the world have shared that they feel confident, courageous, loved and accepted. What an incredible positive message for GB to share on social media on #IDG2017! Inspire girls to make a difference – Hope For Girls is a free resource which features stories and videos from across the world exposing the injustices that girls face and empowering GB members to be part of transforming their world in positive ways. As a GB family, let’s continue to celebrate the value and potential of girls and women across the world so every girl can flourish and live life to the full.